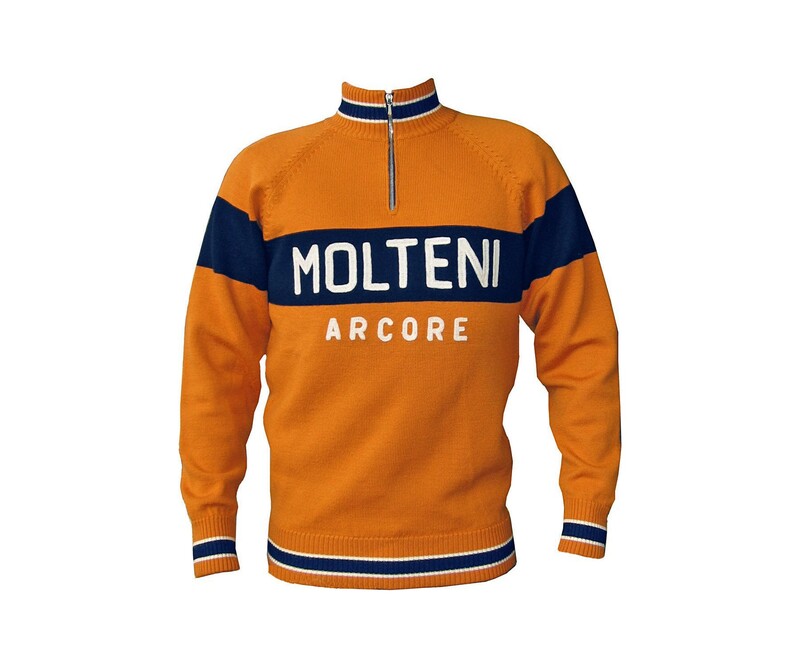 Vintage Velos is proud to offer the timeless Molteni Brand Wool winter trainer sweater! 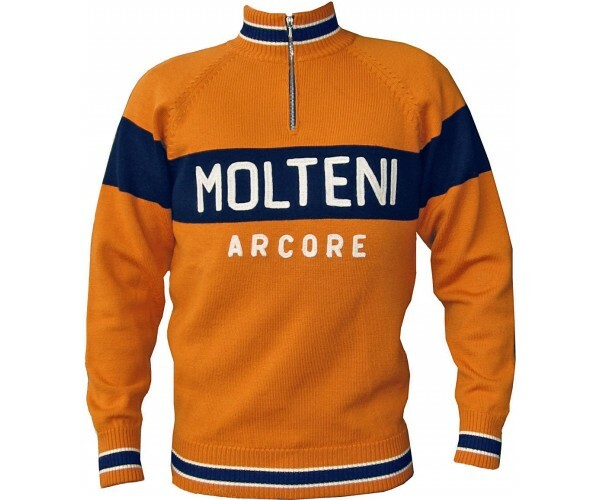 Team Molteni used to wear this during winter training and after races. This trainer is perfect when riding on cold days or as casual wear for total style points. Fully fashioned 2-ply knit,100% Merino wool, prewashed and shrunk. Beautiful chain stitch embroidery on front and back. Silver color metal 20 cm zipper. A true work of art in cycling apparel when most clothing is tasteless synthetics. Style and performance that is unmatched.